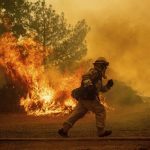 SAN FRANCISCO — Bankrupt Pacific Gas & Electric Corp. inched closer to taking responsibility for the deadliest U.S. wildfire in a century, saying Thursday it is “probable” that one of its transmission lines sparked the blaze last year that killed 86 people and destroyed most of the city of Paradise. 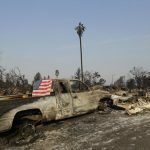 The embattled utility company, which filed for bankruptcy protection in January, said it’s taking a $10.5 billion charge for claims connected to the so-called Camp Fire in its fourth quarter earnings. The fire destroyed 14,000 homes in and around Paradise — a city of 27,000 people in the Sierra Nevada foothills. The cause of the fire, the deadliest in California history, is still under investigation. But firefighters located its start near a tower on PG&E’s Caribou-Palermo transmission line. PG&E also said there was an outage and downed wires in another location, called Big Bend, on the morning of the Camp Fire. While fire officials have identified the second location as another potential ignition point of the Camp Fire, PG&E said it’s unsure if that problem might have ignited the fire.